2014 July « Hercules and the umpire. My pal, Judge Mark Bennett from up the road in Sioux City, was a great trial lawyer and is a great trial judge. He is also a wonderful writer. Recently, the judge imposed sanctions on his own motion on a lawyer who defended a deposition because Judge Bennett thought the lawyer’s conduct at the deposition was improper. This order followed a successful defense at trial. Whatever Judge Bennett writes is worth reading, but this opinion is especially deserving of your attention, particularly if you are a federal practitioner who tries civil cases. I suppose I trust her judgment about supervision matters so much because she has been there and done that. From a juvenile parole officer in the state system, to a federal pretrial services officer in our court and now a federal probation officer who does supervision here in the District of Nebraska this former collegiate volleyball player has the trust of the cops she works with, most of the offenders and all the judges. Her name is Jen. Jen, United States Probation Officer (July 29, 2014). 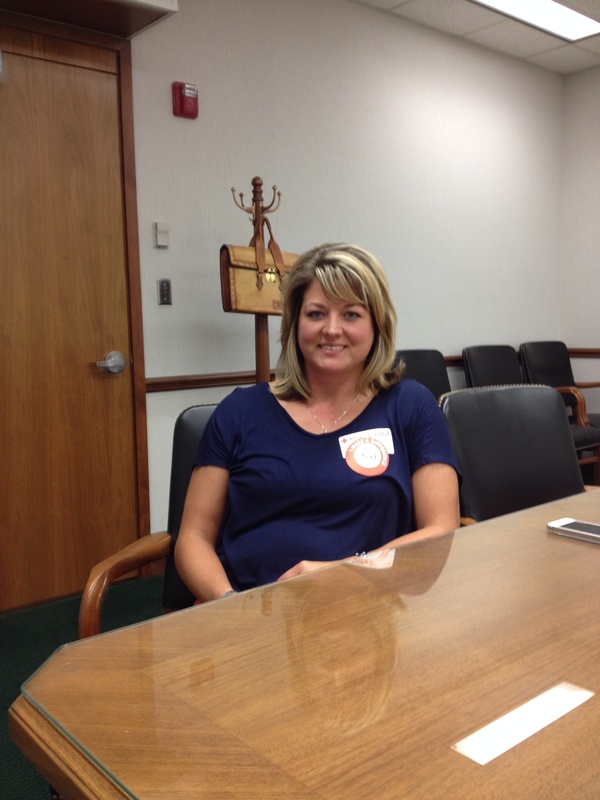 She is wearing a paper badge for a blood drive that she helped coordinate. The feds have gotten cheap, but Jen’s official credentials are not yet made of paper. One of the things I particularly admire about Jen is that she is tough but with no bluster. She does not think carrying a gun is cool. After 12 years of service as federal officer, she is a member of our District’s search team. That is not a job for the faint hearted. Going into a house, with a firearm at your side, with narcotics cops from the Tri-City Task Force (Grand Island, Hastings and Kearney), seeking to execute a warrant for a convicted meth freak who is tweaking and dealing again despite being on supervised release is dangerous business. But what I admire most about Jen, and what I believe is representative of most of our probation officers who do supervision, is that she truly wants offenders to succeed. She busts her guts trying to see that they do. As evidence, reproduced below are two e-mails I got from Jen. While I will redact the name of the offender, you need to know that I would not have bet a nickel that the offender would have succeeded on supervised release. Sentenced to 60 months in prison for selling meth to a CI, she cooperated and I later cut her sentence to 30 months plus five years of supervised release pursuant to a Rule 35(b) motion. To give you some flavor for this offender, consider this: At the time I sentenced this woman she desperately needed a dentist, all her siblings were doing time, and she had three convictions for assault by mutual consent (that is, three fist fights, I’m guessing in a bar). Attached to this email is a letter written by [the offender] requesting early termination. In this letter, she outlines the basics of her success and compliance. This information is true and informative. Please review the well written letter for details. [The offender] was released from the BOP [on a date certain] with her supervision expiring on [a date certain]. To date, she has nearly completed 4 out of the 5 years of supervision without any violations to note. What is even more impressive, is what she has done in the community to ensure she will always have support available. [The offender] has not only made her own map of success, she drew it out with little direction from the US Probation Office. There is no doubt that she will stay in contact with the support systems in her community, and when and if, additional support is needed, she will seek it out. [The offender] has rebuilt positive relationships with her family members. [The offender] and her mother work together as a unique unit to co-parent and support one another. I was lucky enough to be invited by [the offender] to [a non-profit employer’s] Annual Banquet to see her be awarded the Perseverance Award. [The offender] was so proud, and her mother was equally proud. I would relate it to the type of emotion someone has when they achieve a high school diploma or college degree. [The offender] has faced overwhelming challenges in her life to develop a sense of security, stability, and wellness that has brought her family back together over the last year. She has a hopeful and positive attitude while attending groups at . . . and facilitating support groups. She finds joy in each day as she tackles obstacles towards a hopeful future. With the above being said, [the offender] has made a successful re-entry. Her criminal thinking appears to be nearly non-existent. The risk to the community is very low, and I would concur that she is “more than ready to be released from probation.” At the least, [the offender] has received the maximum benefit of supervision. I have also discussed this case with [the AUSA] who has no objection to early release. In the event you feel early termination is appropriate, I have attached the Prob. 35. Thank you in advance. I need not write anymore. If I refer to “checks and balances” I bet you think of the inherent tension between the Executive, the Legislative and the Judicial branches of the federal government. The words “checks and balances” might also bring to mind the inherent tension between the federal government and state governments. I don’t know about you, but I had never thought of criminal, civil and grand juries as being coequal with the Executive, Legislative and Judicial branches of the federal government and I never thought that such juries were coequal to state governments. In other words, I never thought of the jury system writ large as being in tension with and a “check and balance” to the three branches of the federal government and to the state governments as well. Dear reader, assume Professor Thomas is right as a historical matter, and that criminal, civil and grand juries were much more active and powerful in the early days of the Founding than now. Aside from nostalgia for bygone days, why should we care that juries are now less active and the power previously exercised by all types of juries has lessened and shifted? Furthermore, assuming Professor Thomas is correct as a historical matter about the powers previously exercised by juries at or about the Founding, why would we ever desire to replicate that past now? If you have answers to these questions, I’m anxious to hear them. *Professor Berman at his Sentencing Law and Policy blog first highlighted Professor Thomas’ article in April of this year. We all suffer travails. On balance, however, most of us, me especially, have rich lives. My life is rich in intellectual stimulation. For example, Professor Akhil Reed Amar recently delivered the Chautauqua Institution’s 10th annual Robert H. Jackson Lecture on the Supreme Court of the United States. The lecture, entitled “Robert Jackson and the Judicialization of the Judiciary,” was fascinating, insightful and a crowd-pleaser. You can watch it all here on YouTube: https://www.youtube.com/watch?v=-OR0IFnKWHA&list=PLZQsNvvrHNbT1c5AGYRdedEKTG5qjamvx. It is lectures like this that make my life especially rich in the world of ideas. 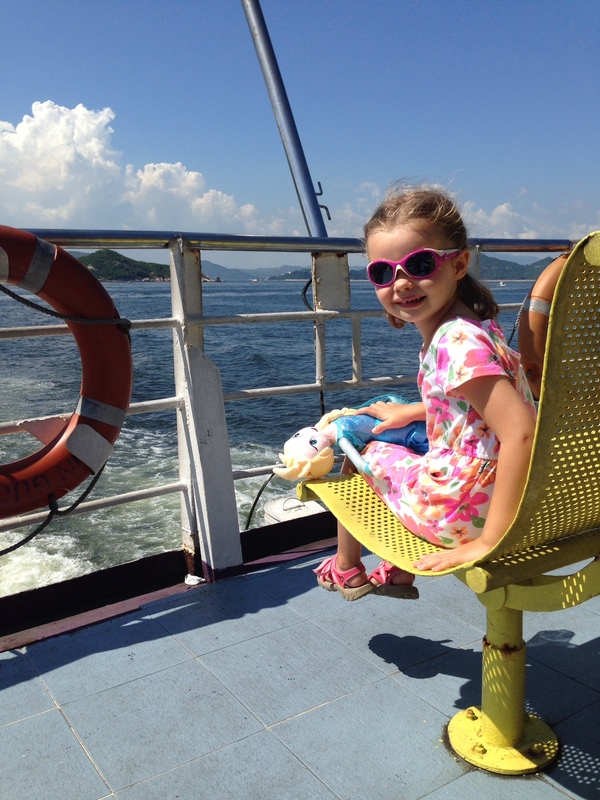 Then there is the joy of family like Petra traveling to Hong Kong with her mother to see the doctor and learn how the yet to be born baby is doing and proudly filling out her own her own travel papers before she boarded the ferry between the PRC and Hong Kong. 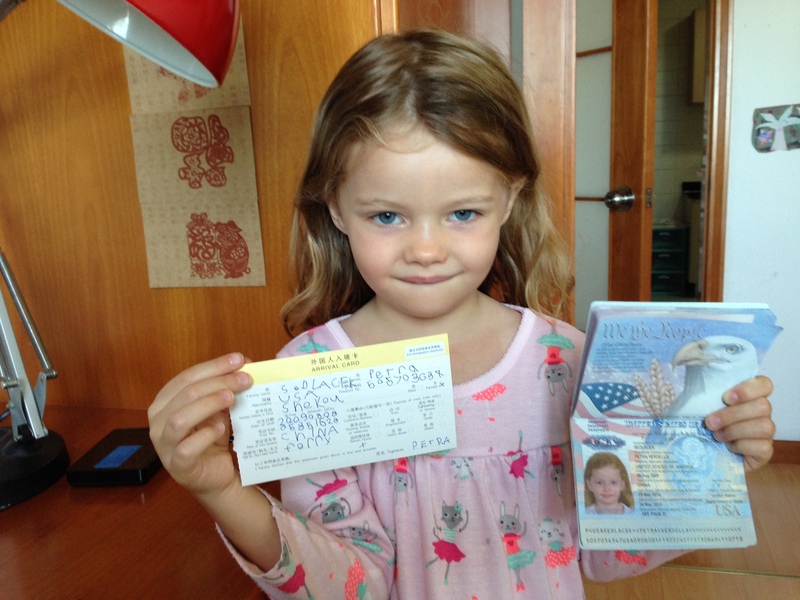 Petra filled out her own papers before boarding the ferry. She prints in big block letters much like her goofy grampa. Petra and dolly on the ferry to Hong Kong. 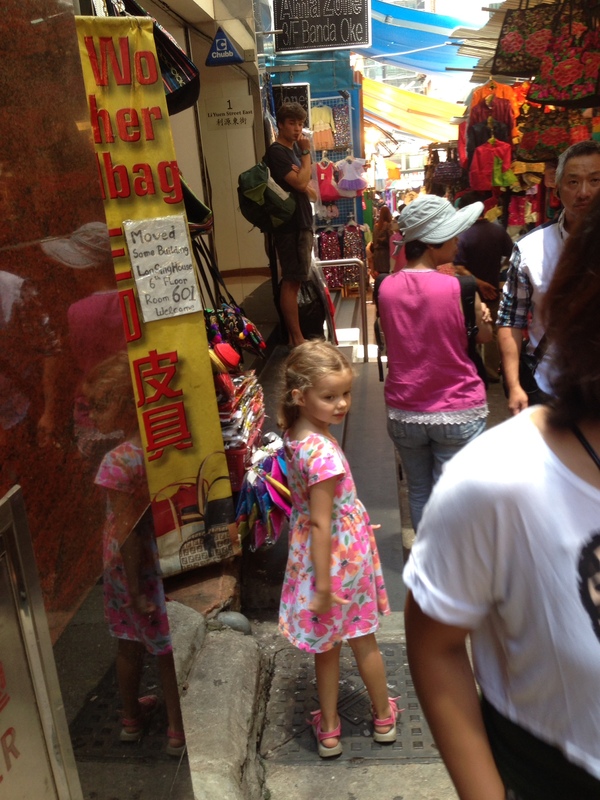 Petra in the packed and bustling alleyway shops in Hong Kong. That’s it. There is no more, but that’s plenty. It is now fashionable to be “soft on crime” rather than “hard on crime.” This is largely because being hard on crime has become ridiculously expensive. I get that, and, in fact, agree with it. However, before we provide group hugs to the special little snow flakes (each one is unique don’t you know) who will reside in our federal prisons, we ought, at least, to know what goals we seek to achieve when we send them to federal prison. If you read these goals and try to apply them seriously you will end up insane. They are inherently contradictory. They provide no meaningful guidance to the sentencing judge. If you believe that federal judges are like Platonic guardians imbued with the powers that only the elite can possess, these goals are perfect. Essentially, the federal judge is told to do the right thing. The Supreme Court’s line of cases (e.g., Booker) punctuates that point by making the Guidelines irrelevant for the sentencing judge inclined to sentence without meaningful external constraint. On the other hand, if you believe, as I do, that federal sentencing judges require specific direction from Congress because (1) that is the democratic way and (2) federal judges are no more smarter when it comes to sentencing than the reasonably well-informed lay person, then it is clear that we must junk or rewrite section 3553(a). In sum, I don’t care whether section 3553(a) is rewritten or junked entirely. If Congress elects to rewrite the statute, so long as the statute sets consistent sentencing goals, I don’t care what goals Congress picks. If Congress junks the statute (or leaves it unchanged), and, by so doing, proclaims that we federal judges are to pick the goals that we think best, then that’s fine too. I just want to know what I am supposed to do at sentencing. Is that too much to ask?